Be the last line of defence by taking control of your keeper, tip one over the bar, or make an acrobatic save for the cameras. Win trophies to unlock new levels, gaining access to different Arenas and more elite players with unique special abilities. Compete in tournaments to win prizes, challenge to be the last team standing and prove you are the true Football Clash champion. Form a League with friends or others from across the globe, share XP and help improve each other's players whilst leading your team to victory! * Collect 5 types of player cards - Good, Superb, Elite, Legacy and Legendary. * Each player card has its own set of attributes and one special ability. * Select your ultimate All Star team to defeat your rivals. * Create your strategy by selecting one of the 6 different formations. * Immerse yourself in the action with a 3D dynamic shooting and goalkeeping experience. * Outscore your opponent and take your team to glory. * Win card packs to unlock rewards, build and upgrade your squad with your favourite players. * Form a League to donate cards and build your own football community. * Challenge your League members to friendly matches to determine who is best. * Compete in knockout tournaments to determine the ultimate Football Clash champion. Play Football Clash: All Stars now, the ultimate 5-a-side football game! I am around the 4th arena and cannot play without experiencing very bad lag issues, and I have very reliable Internet. Also a bug includes the goalkeeper going way out of the box to get a ball after the opposing player missing a shot (only when GK uses ability) also when I pass to a player and tap the shoot button before the ball reaches my player and the shooting arrow shows up. The chat could use some improvements and being able to view a player's profile in the info log. There should be a better way to defend rather than having to drag your defender to a spot, it just takes too long. You should be able to click the defender you want and then tap the screen to make it go to that spot. Also I think that you should be able to call your GK out and use the charge ability before the opposing player starts to shoot, the charge ability is useless so far. I really enjoy this game but there are some issues. I have an iPhone Xs with the most recent update. Here are my issues- 1. Sometimes the players “lag” in the middle of the play. You end of loosing a few seconds at typically the worst time. 2. I have had numerous games that I won but the game crashes at the screen loading the score. I end up having to end the game because I can’t get off the screen sacrificing my trophies. 3. I get a frequent error saying “Please Try Again Later” when typing to collect additional trophies or watch ads. Again I loose out on trophies. 4. I don’t quite understand how new players are assigned. I am almost out of New York and have 3280 trophies but I only have 71 players. I end up buying a lot of players. Unfortunately most of the XP I get from packs are for lower player (Cech, Patricio, etc). Thanks. Video smart to let him sponsor you. Anyway there r 2 main problems with the game not enough players not enough card levels r 2 small ones but the big ones r not enough players on the field and a bigger field. 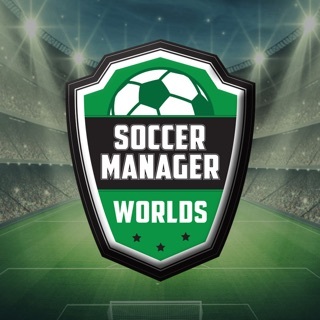 With more players on the field it will help the users with what they want to do make plays and score goals and be able to score long shots not the same goals over and over again and also maybe instead of tapping the player make a defend button.